New instrument enables non-destructive evaluation of the distribution of nanoparticles or nanopores by size. 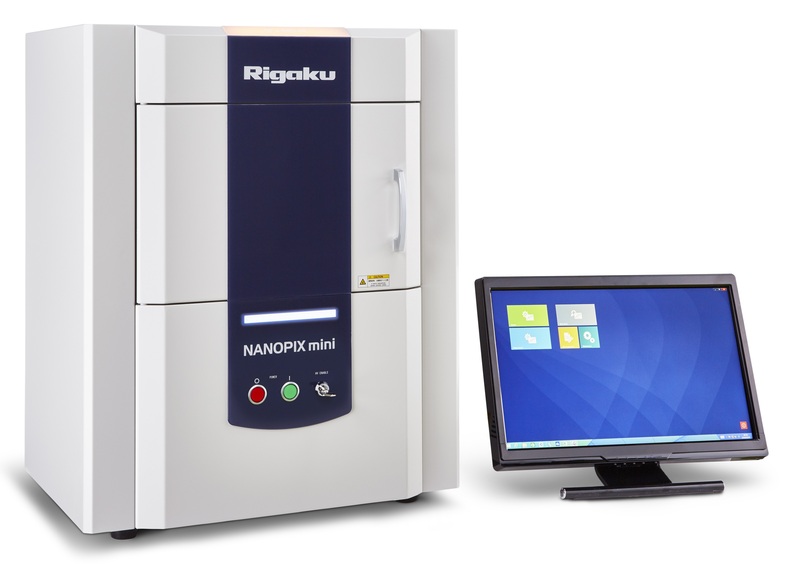 X-ray scientific, analytical and industrial instrumentation manufacturer Rigaku Corporation has announced the NANOPIX mini, the world’s first benchtop small angle X-ray scattering (SAXS) system that delivers automatic nanoparticle size distribution analysis for both quality control (QC) and research and development (R&D) applications. Nanoparticle size, size distribution, and particle shape are the key pieces of information obtained from SAXS. Samples may range from solutions, suspensions or slurries to solid plastics, rubbers or polymers. Nanomaterials are part of a variety of emerging nanoscale technologies that can be used in a broad array of applications and products. Nanomaterials – materials where 50% or more by number of the constituent particles have one or more external dimensions in the size range 1–100 nm (2011/696/EU) – can exhibit vastly different chemical or physical properties, or biological effects compared to their larger-scale counterparts. These effects may derive from altered chemical, biological, or magnetic properties, altered electrical or optical activity, increased structural integrity, or other unique characteristics of materials in the nanoscale range (including acute toxicity) not normally observed or expected in larger-scale materials with the same chemical composition. Nanomaterials offer technical and commercial opportunities, but may pose risks to the environment and raise health and safety concerns for humans and animals. As such, countries around the world have enacted increasingly stringent laws concerning the manufacture and distribution of nanomaterials. 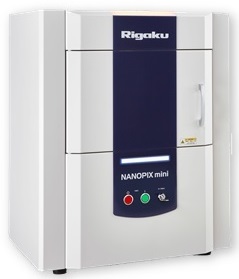 The Rigaku NANOPIX mini SAXS instrument offers unique analytical capabilities, relative to other particle measurement techniques – including the ability to measure opaque and solid samples – that offer superior data quality for regulation-driven nanoparticle characterization in consumer and industrial products. 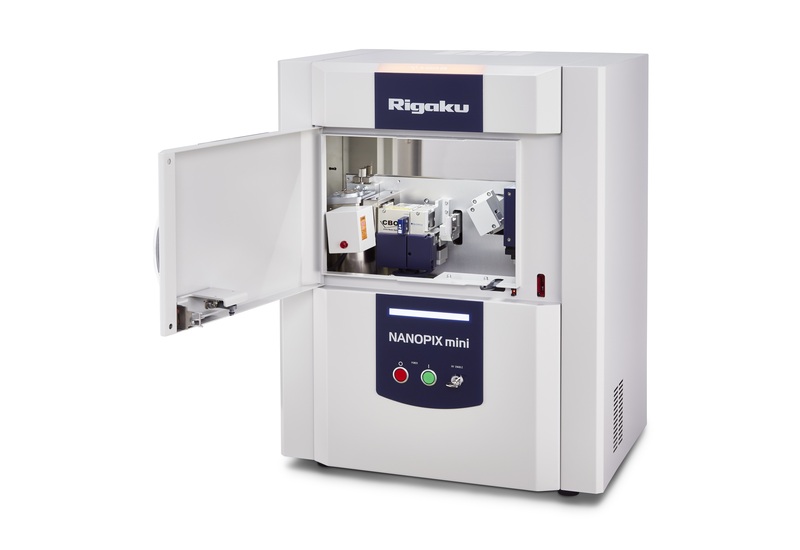 Rigaku NANOPIX mini is the first benchtop small angle X-ray scattering system dedicated to the characterization of nanoparticles in both research and production environments. 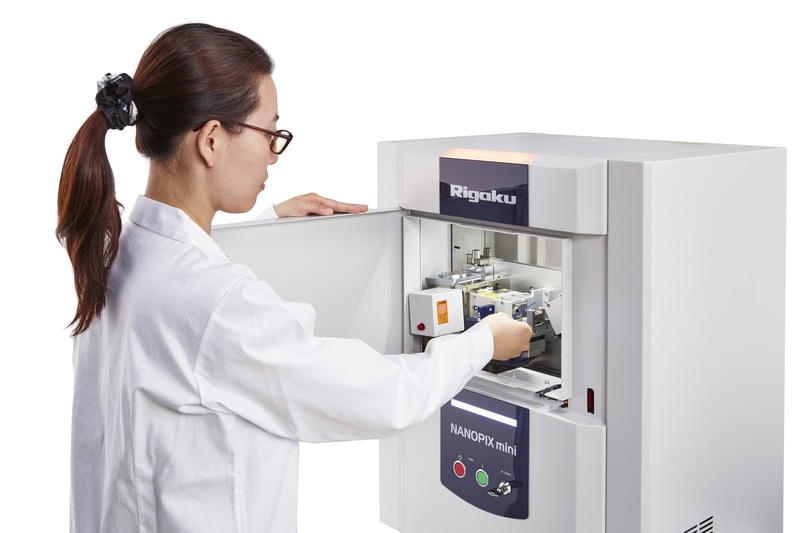 With a revolutionarily small footprint and performance superior to traditional “big iron” systems, this compact instrument offers enhanced angular resolution through its line-focus X-ray source and superior combination of high figure-of-merit optics.